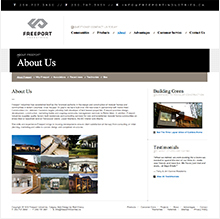 Freeport industries is western Canada's largest modular home builder and need a clean web presence with a strong digital marketing campaign. Red Cherry also created custom software for tracking of homes, owners and deficiencies. Custom photography for modular offices and homes. 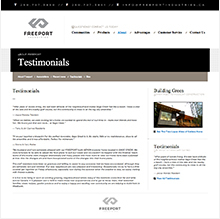 Red Cherry created a remarketing campaign helping Freeport target 95-96% of other websites on the Internet with their ads after someone had visited the website. 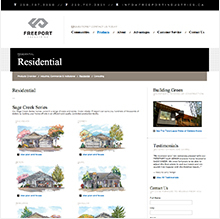 Freeport is a quality home builder with a solid reputation and this prevalent when visiting the website. Clear top level messaging help define the brand. 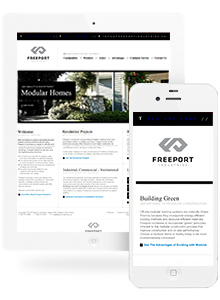 Custom software for managing lots, sales and deficiencys. 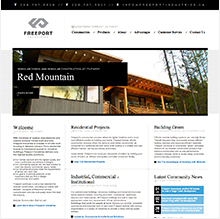 Unique website design showcases work elegantly. Digital marketing campaigns driving customers.